So here’s my second monthly round-up where I look back on the month and, also see how well I’ve managed to incorporate my focus of the month into my life. January’s Focus was “RENEW (you can read how well I got on here). For February, I let Twitter decide what my focus should be and they, including myself, voted for “BALANCE”. 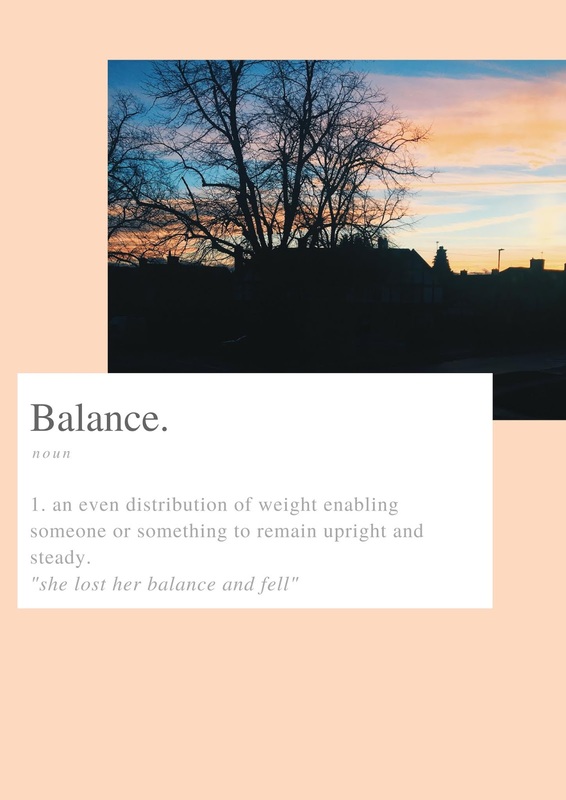 At the start of the month I outlined what I wanted to use this month to focus on in relation to balance so, how well did I do? 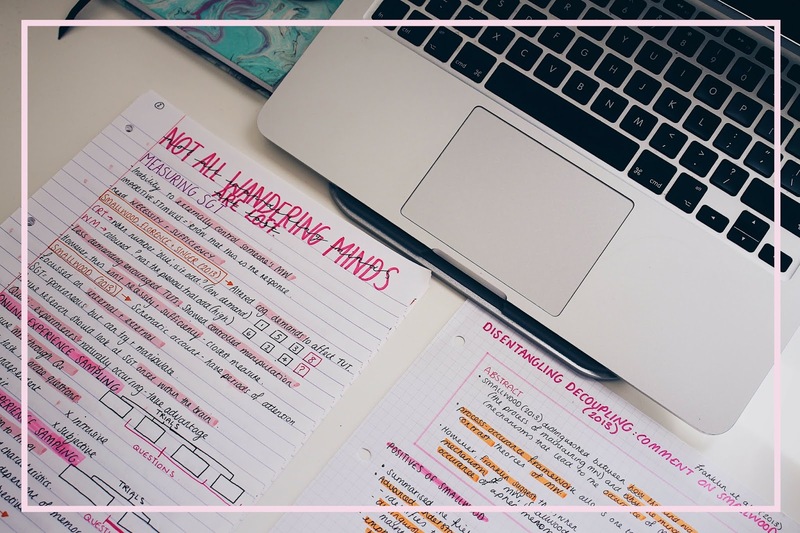 This month started off on a bit of a downhill trajectory, I was actually really struggling to find the balance between university work, having time off, blogging etc. I really felt aware of the fact that I wasn’t making enough time for everything. Every time I was taking time off from working, I felt guilty for not and when I was working, I just didn’t feel like my head was in it. I had a few down days where I just didn’t want to do anything which, in the end, was not actually a bad thing. It actually really forced me to take a step back and have a break and I didn’t actually feel guilty. This month had some stand-out positives. If you read my “HOW I PREPARED FOR MY EXAMS” you may have seen I managed to get firsts on both my exams I took at the start of January. The results were such a shock but so glad my hard work paid off. I did question whether it was really worth the stress but I’m overall really happy and it’s made me motivated to do well over the rest of this term and going on into my final term of university. 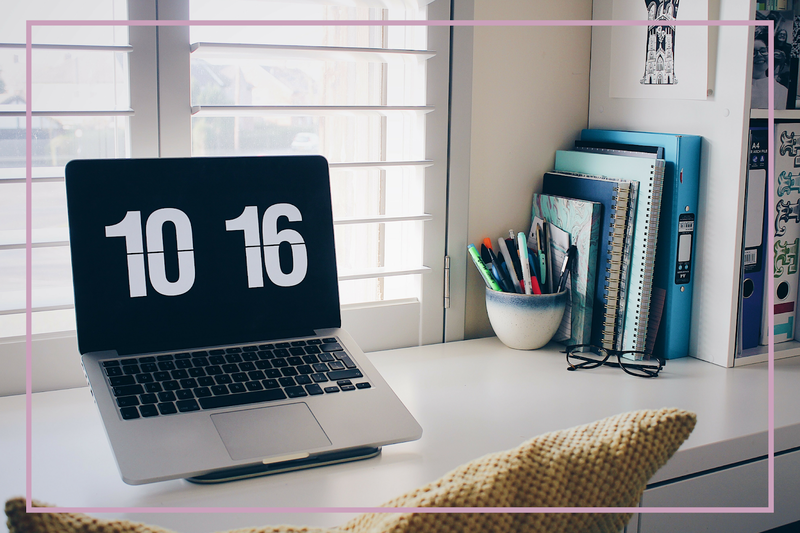 Looking back, some of my favourite days of the month were spent on my own going for a walk, sat in Starbucks, going to an exercise class and even blogging. I’ve really enjoyed spending some time doing these little things in between my uni work and they all helped improve my month. My parents and sister all came up to visit me as well this month and, even though just for an afternoon, we had a really nice time and got a chance to take some lovely photos of York which I shared in my “PHOTO DIARY: YORK” if you want to have a peek at the photos. While it’s had its down moments, February has been a month of realisations of what makes me happy and what doesn’t. It’s been really eye-opening to see what aspects of my life are important to me and make me happiest. Looking back at some of the things I wanted to focus on relating to Balance this month, I think it’s a real 50/50 split as to what I feel I managed to accomplish and what needs a little more improvement. A highlight of this month, and one that I think I feel I implemented well and will be carrying on doing, is tracking my mood. 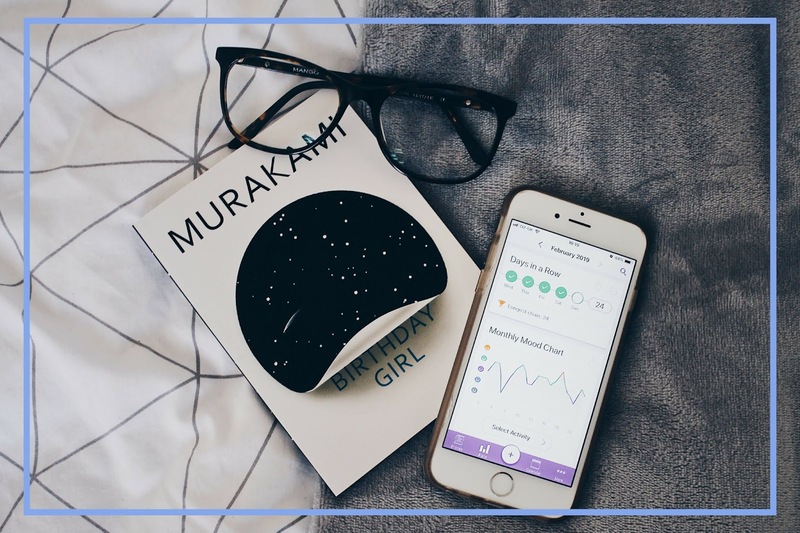 I’ve found this really helpful to not only see what triggers my bad moods or what has made me happy on certain days, but it also allows me to track how often I do certain activities such as uni work, blogging, seeing friends. It has helped me see if I’ve been getting that balance in. The app I’ve been using is Daylio and I love it! I’m so happy I’ve started doing this in February. I feel like my diet has been slowly getting back to a good place. I’m in no way watching what I eat but more just making healthier choices and eating when I’m hungry. There have been days where I have treated myself but I’m slowly cutting back. This is probably going to be an ongoing focus for the future but I definitely have felt my diet has been getting better this month. I’ll be honest, I forgot that one of my focuses of the month was to decrease my screen time. I had a quick check of the screen time recorded on my phone and, while it’s high, I can’t tell whether it’s any lower/higher than last month. I’ve noticed my Instagram daily average has gone down which is a plus but I still think my screen time needs to be reduced and I think this will be something that I can link into next months focus and try again at getting the screen time lower. Now, for the big one. My work-life balance has fluctuated throughout this whole month. It’s been the first month since summer that I’ve had more than one day off of doing any uni work at all and I’ve loved it. I felt a lot happier after having these days off and less overwhelmed as I managed to get my thoughts in order and sort out what I need to do and when for, without feeling too stressed. Having said that, I do feel there is more to be done for me to really get this balance. So, while I feel I’ve made steps forward in getting this balance, I still feel I can do a lot more and hopefully, this will progress further into the future months. I’ll be sure to keep you updated on how this goes. Overall, while there have been some bad parts, there have been some good moments. While I haven’t found the balance just yet, having this to focus on this month has definitely encouraged me to work towards having a balanced life in many different aspects. Balance is going to be a theme that I’m sure to carry into the next few months to really help me progress. I think once I get this balance, I will be a lot happier. How has your February been? I’d love to hear what you’ve accomplished this month and have you any plans for March? As I’m sure many do, when I hear “Habit” I immediately jump to the negative connotations of a bad habit. I've now realised that it doesn’t always have to be negative and that having certain habits in your routine can actually help and even improve your mood over time. With this, I thought I’d share with you a few habits I have tried to pick up in order to improve my mood and mindset throughout the day. As a kid, this was something I would get away with not doing but, as I’ve got older, I’ve found that this is something I wish I’d implemented sooner. Such a simple thing makes my room look a little more orderly and, while it may sound silly, makes me happy to return home. On the mornings I know I forgot or didn’t have time to just straighten out my duvet, I know I’ll come home and get annoyed with how unorganised and messy my room is. This just saves so much hassle later on and can help me feel that little bit more put together. This is probably my most recent and favourite habit I have picked up over the past month. Taking a few seconds a couple of times a day to just log my mood, what I’m doing and maybe even write a little more about how I’m feeling. I’ve really enjoyed introducing this habit as it’s nice to be able to look back and see what specifically made me happy and also if there are certain things that a constantly causing a more negative mood change. It’s also nice to scroll back and reflect on the days I’ve had at the end of the month. I recommend the app Daylio on IOS for this! I’m quite often either sat at my desk at home, sat in lectures, sat in the library, in a coffee shop or on the sofa. I’ve realised that the days where I get the least exercise are actually some of my least favourite days. Whenever I can, I walk. I’ve stopped getting the bus into the city center as I know it's in walking distance and I know I’ll thank myself later for that extra bit of exercise. Listen to music or a podcast in the morning. I used to have a radio alarm and I noticed that I felt a lot more energetic in the mornings. Sadly, it broke and I have got out of the habit of listening to music in the morning and have definitely had more trouble getting up early. I’m currently trying to make sure to either put on some music while I get ready or even listen to a podcast (obviously not too loud as to wake my housemates up!). I have really enjoyed adding this into my morning routine. I mentioned this in my “How to Improve Mondays” but I think it’s one that applies to overall improving your week. One of the last things I do before settling down for the evening is to write out what I need to do tomorrow; whether it’s seeing what I haven’t managed to accomplish that day, any appointments etc. I make sure to jot them down somewhere I know I’ll have easy access to the next day. This saves me having to think in the morning what I need to take with me anywhere and I then know what time I need to start the day and how I will be starting it. So there are just a few positive habits I've tried to implement into my day that really help improve my mood and that are helpful little habits to have! Are there any happy habits you have that you think I should have included? Just last weekend my parents and sister all came to visit me for the day. We went out to lunch and then we had a little walk around York city centre. It's been a while since I've felt like a bit of a tourist and really appreciated how great York is. We decided to walk part of the city walls, which I hadn't done before, as well as do the usual walk past the Minster and around The Shambles. I haven't done a photo-diary-style post really since 2015 where I shared "ON FILM" which was a selection of photos taken from my first roll of film. I have really neglected photography since being at university. However, this little trip around York has really re-inspired me to pick up my camera more often as it's something I really enjoy doing. Sorry, it's such a short post today but I hope you enjoyed the few pictures I took over the weekend in York. I won't keep going on about this one but, I think, switching out products for cruelty-free alternatives is such a simple way to help in having more sustainable beauty options. If you are thinking about going cruelty-free but have some worries, I may have tackled them in my "CRUELTY-FREE BEAUTY: WORRIES & SOLUTIONS". 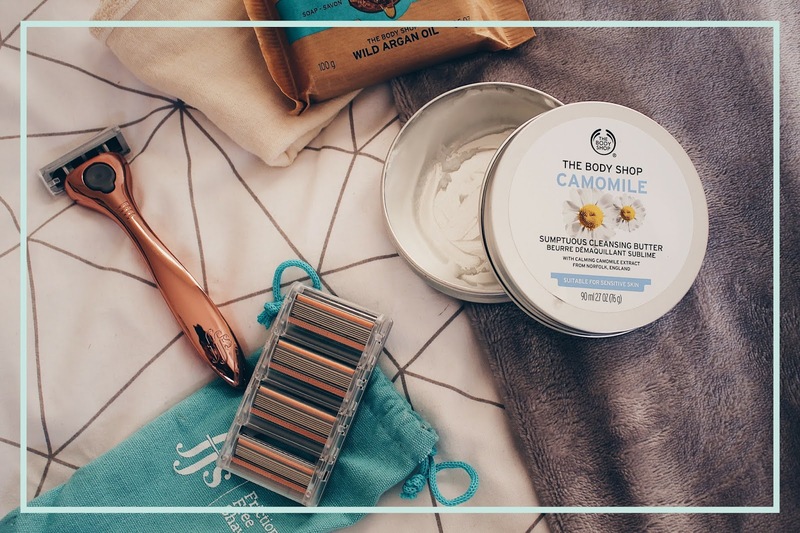 If you're looking for recommendations I have an abundance of posts on cruelty-free make-up, skincare and haircare that you should have a read of. Going cruelty-free does not mean choosing more expensive products. If anything, I've found since making this transition, I have been saving more money than before. PRODUCTS WITH SUSTAINABLE PALM OIL. This is a new one for me. While I regularly have tried to exclude using cooking products that include palm oil, I think less so about in this relation to beauty and I would like to be a little more conscious about this. From speaking to a friend, however, excluding palm oil altogether can be tricky and can actually lead to loss of jobs of thousands of people and would most likely see us relying on other , possibly worse, alternative. Instead, trying to find brands that ethically and sustainably source their palm oil is a much better way of helping with the issues surrounding palm oil. If you want to read more about palm oil in beauty products I recommend this article by Glamour: "Why Palm Oil is Bad For The Environment...". However, if you want to read a little more about palm oil and why actually completely boycotting its use isn't the best solution, I recommend reading this article by Smithsonian and also this one by TheGreenVegans and for a quick rundown, Bare-Soaps published a quick read article about what they do. They definitely word what I'm trying to say a lot better! STREAM-LINE YOUR MAKE UP BAG. Is it really necessary to have 10 different lipsticks all in basically the same shade? Even when I have 10 of completely different shades I wonder whether I'm actually using them all equally and if I actually need that many. I no longer see the point of having mountains of make-up that I'm probably never going to use. Instead of buying products just because I've heard it's good even though it's exactly like something I've tried before, I think a smaller, streamlined selection of makeup that I love and use most days helps reduce the waste of throwing out products after buying and never using, while also saving money. NO ONE-USE. GO FOR REUSABLE. While, yes, coming in from a night out and grabbing a make-up wipe is so much easier that cleansing your face properly (we've all been there), I've become more aware of how wasteful this really is. It's a similar thing with one-use cotton pads; used and then discarded. I recommend trying reusable cotton pads; just use and throw in with your laundry whenever you do a wash and there'll be ready to use again. You can buy so many variations of these with them being simply found on Amazon. I discovered an Etsy shop called "TabithaEveCo." who have really pretty patterned and handmade reusable make-up removal pads which I am definitely going to be buying over the next few days. One other thing is razors. Instead of throwing away the whole razor, why not find an option that you just need to throw away the blades and can keep hold of and reuse the handle. I've expressed my love for the Friction Free Shaving Subscription* already. You get a gorgeous metal handle and they will send you the matching razor blades for every month. They are super flexible with cancellation, changing the date and skipping months with the razors being such high quality for the price point as well. If you fancy getting your own FFS razor, you can use my referral code "U6LWZG" and get a free engraving of your name into the handle of your razor to make it all the more luxurious and encourage you to keep the handle. By just swapping out your razor blades when necessary, this is not just a convenient way of replacing them but also a lot cheaper and sustainably effective. This is one that I feel can really make a difference over time. Instead of buying shower gels that, if you're like me, last only a few weeks before you have to buy a new one and the plastic isn't even recyclable in my area, I have tried just using a bar of soap instead. It lasts so much longer and, yes you may not get the great lather that you may with shower gels, I still feel fresh after and, if anything, makes my skin feel more hydrated and clean. Also, it creates so much less waste! I have been using The Body Sop soap bars specifically their Wild Argan Oil bar. I've also seen some great options from both Lush's Naked Shower Gels and Bomb Cosmetic's Solid Shower gels. I also think to swap your usual shampoos and conditioners to those in bar form is a great option. I have used in the past a few different shampoo bars from Lush and they work just as well as any other shampoo and last so much longer than a bottle. I am yet to try a solid conditioner but I'm definitely looking to buy one soon as they are worth the investment! This was a recommendation by a friend and so one that I know I can improve on. If you have bananas going off, maybe some avocado, if you're millennial as that sounds, then why not use these to make your own face mask? The natural properties are so much better for your skin than what many companies put in their face masks. Not only this, it helps reduce your waste and makes sure you're using up all your produce. Why not try making your own facial sprays, lip scrubs, body exfoliators and coconut make up removers as well? The internet is full of amazing recipes on how to create these and so a quick google search and you'll be able to make one of these in no time with ingredients you're bound to have in your cupboard. These will be so much less expensive than buying them in shops, will help you reuse containers you have lying around and, overall, being a lot more sustainable and natural than buying them from the drugstore. I hope these six ways of creating a more sustainable routine have given you something to think about and, hopefully, offered easy ways to improve your beauty. Do you think I've missed anything? Do you agree with what I'm saying? I'd love to hear any of your opinions on this topic in the comments! *While this doesn't count as a #AD, I wanted to let you know that if you use my referral code, I will get a small discount on my account. However, as always, all opinions remain my own and wouldn't be sharing unless I fully loved the product. I find it all too easy to get into a slump with work and I've found the first step to tackle this is tidying up my desk space for optimal productivity. 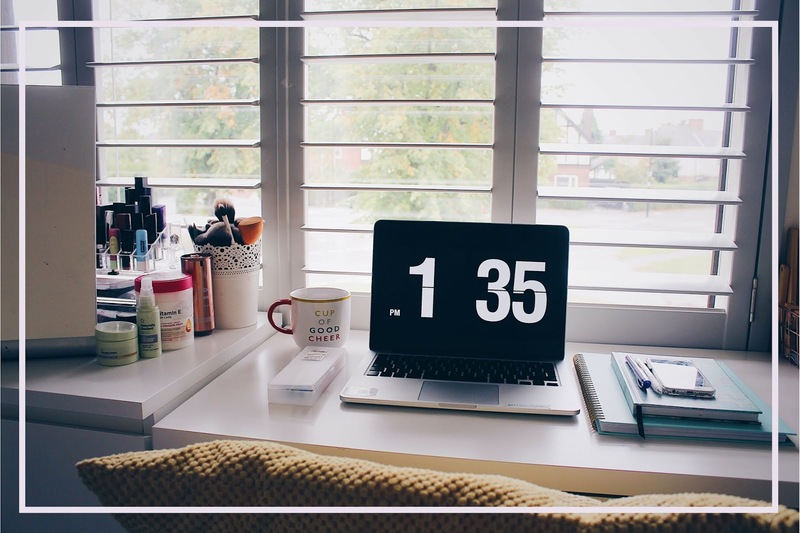 I've found a few things that really help to get me focussed and to minimise any distractions which I thought I'd share them with you today. Don't sleep where you work. This is something that I think I've done quite well and have really benefitted from. While there is the temptation to work from my bed every morning, I now realise how unproductive this makes me. Whether it's at a desk in my room or the dining room table, I know I'll be much more productive there than in my bed. Also, I feel like not working from my bed keeps it a more relaxed area and having it associated with that and not the stress of work helps me get to sleep a little better at night as I know I can now relax in bed. I've always been one to have little trinkets, drawers, picture frames etc. on my desk but I've realised that this just isn't the most practical. While a few items isn't bad by any means, having a less cluttered desk allows me to easily see my work and spread out a more if I need to without having to take stuff off my next or move things around in order to work. Like I say, having a few items on your next is helpful. I also think having drawers under or by the side of my desk is also handy as it means I don't have to go searching when I need a pen or a ruler; I know they're close by so I won't be distracted by trying to route around to find what I need. If you don't have any drawers to hand, in the past just a pencil pot has been good enough for me or shallow box just on the corner of my desk is big enough to hold the essentials. ...and your phone out of reach. I'd say that this is probably the biggest cause of unproductive work both for me and I'd guess many others; always tempted to just have a quick scroll through Instagram or being instantly distracted when you see your phone light up. Putting your phone on "Do Not Disturb" is a good option but I still don't find it stops me from checking it frequently. I find it's best to place it on the other side of my room, face down and I tend not to really think about it. I also turn off notifications on my laptop for messages and emails off quite often especially if it's related to what I'm doing. It's just an extra way to minimise distractions. A list pad is a good place to start. If you've got the space, I always find this a helpful addition.Having somewhere to write down what you want to get done and be able to tick it off when a job is complete makes me feel motivated to tick everything off. If you would rather not have a list pad taking up the room or wasting paper, I'm an avid lover of the Chrome extension "Momentum" which, along with giving you a beautiful chrome background everyday, has a great feature that allows you to write a To-Do list and even have the satisfaction of ticking the task off when finished. Whenever I'm starting to flag I always make the excuse to go and get a(nother) glass of water. While, yes, breaks are good and I always try to have them regularly throughout a long time sat at my desk, I do find sometimes I'm using it as just an excuse. I find now that if I fill up a big liter bottle of water, it's more than enough to see me through to my next break and beyond. It also makes sure that I am keeping hydrated through out the day which is something I'm quite poor at remembering to do. I know that some people find it distracting to have music playing while they're working and, if it's something I need to really concentrate on, I'm exactly the same. However, I find when I'm needing something to get me focused, a good playlist always works wonders. I have a few playlists I think are good for this that I have created myself; my GREEN playlist is on my Spotify so if you're looking some more guitar vibes, it's a good one. 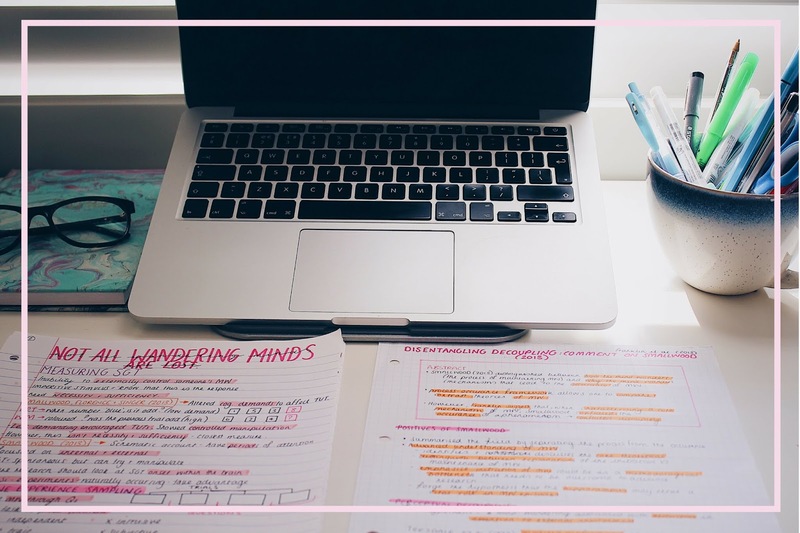 Alternatively I also have a STUDY and REVISION playlists that I created during different exam periods in the past that always helped me feel calm and still motivated to work. So there's just some ways I try to create a good productive environment for me. These apply especially when I'm at home but these can definitely be applied if you're in the library or anywhere where you are trying to study. Do you have any tips yourself for staying productive? I'd love to know!